Looks like Burger King has been getting a little 'creative' with its marketing methods. Around a week ago, a Twitter account belonging to the fast-food outlet began liking old tweets posted by various influencers. One creator, in particular, was YouTube vlogger Casey Neistat. Neistat noticed this and screenshotted the likes before posting a tweet asking why the chain was sifting through his old tweets. Other creators also began to notice that the Burger King Twitter account was liking tweets that were posted over eight years ago. Naturally, influencers began to notice what Burger King was up to and started to call the brand out online. It turns out that the company has resorted to using influencer clout to promote the return of Funnel Fries, a product that Burger King discontinued eight years ago. Liking the old tweets prompted influencers to begin discussing the brand on their own social channels. Upon learning this, creators have lashed back at the move, calling it "manipulative". The brand has effectively utilised the power of social influence to boost awareness without actually recruiting or compensating anyone. Extremely clever or absolutely awful? You decide. "It's not nice to manipulate us into hawking your sugar-coated french fries." Casey Neistat said in a recent video regarding the move. "And the thing that upsets me the most about all of this... is just how genius it was!" Neistat didn't stop there. He acknowledges that his influence has given Burger King a boost of attention but now he wants something in return. In the same video, the vlogger calls the company out, saying that while he's a bit of a "health freak" and doesn't particularly want to promote burgers, there's a ton of non-profit organisations such as Make-A-Wish that he supports. 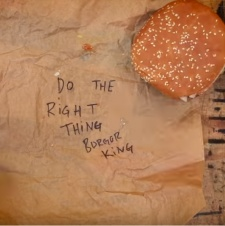 In short, Neistat has expressed that he was annoyed by the campaign, but has called on Burger King to "turn this negative into a positive" and do something to raise awareness or donations for a worthy cause. Youcan't say fairer than that really.